Twitter's co-founder Biz Stone has denied reports that the micro-blogging service is in talks to sell off part of the company. The company has long been rumoured to be a potential takeover target for the likes of Google, Facebook and Apple, but Stone moved to dismiss claims that Twitter is in talks with investors JPMorgan over a 10 per cent stake. "(The report is) made up," Stone told Reuters at a recent forum in Korea. "We make money. We earn money from a suite of products -- We have promoted tweets ... promoted accounts, all of which are in our advertising mechanism." "We are just really getting started. We have some internal forecasts (for advertising revenue for 2011) but nothing is really shared right now. We don't need to set the world record or anything like that." 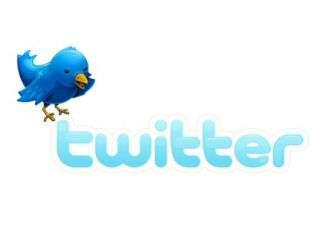 JPMorgan was reportedly looking to invest $450 million (£275 million) to acquire a 10% stake in the 140-character phenomenon, but Twitter seems prepared to fight longer to stay independent. Stone also confirmed that low-level talks with Facebook were the last for the company about any possible takeover or stake purchase, so it seems that promoted Tweets and accounts will be the main source of revenue for the brand for now.